Sonia Schreiber Weitz was born on August 27, 1928 in Kraków, Poland. Sonia, her older sister, Blanca and their parents, Adela Finder Schreiber and Janek (Jacob/Jakub) Schreiber lived in the Jewish section of Kraków, where Janek owned a small leather goods shop. In 1941, the Schreiber family was relocated to the Kraków ghetto by German forces and Adela was taken to Belzec death camp, where she was killed. In 1943, Sonia and Blanca were removed from the ghetto and sent to Plaszów slave labor camp. Their father and Blanca’s husband, Norbert Borell were sent to Mauthausen concentration camp, where their father was killed. In December 1944, Blanca and Sonia were moved to Auschwitz, where they were forced on a death march to Bergen-Belsen and later taken by cattle car to Venus-Berg. The sisters were again moved, this time to Mauthausen, where they were liberated in May 1945. Sonia and Blanca survived five concentration camps and out of an extended family of eighty-four, they were the only survivors of the Holocaust. 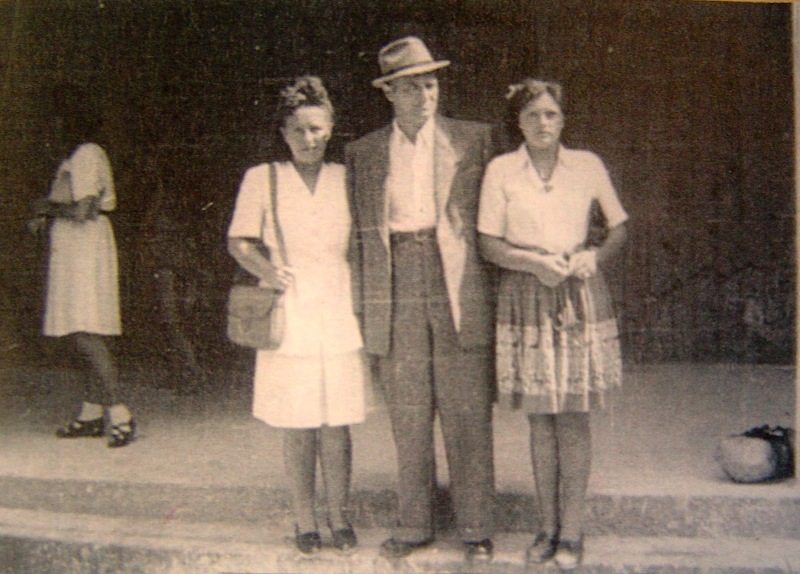 Following liberation, Sonia and Blanca were reunited with Norbert. 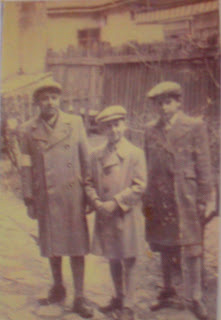 The three lived in Displaced Persons camps until 1948, when they immigrated to America, settling in Peabody, Massachusetts with the assistance of Norbert’s uncle, Harry White. Sonia became a United States citizen a year later. On September 7, 1950, Sonia married Dr. Mark Weitz,. The couple had three children, Don and twins, Sandy and Andi. After raising her children, Sonia focused on writing and activism. 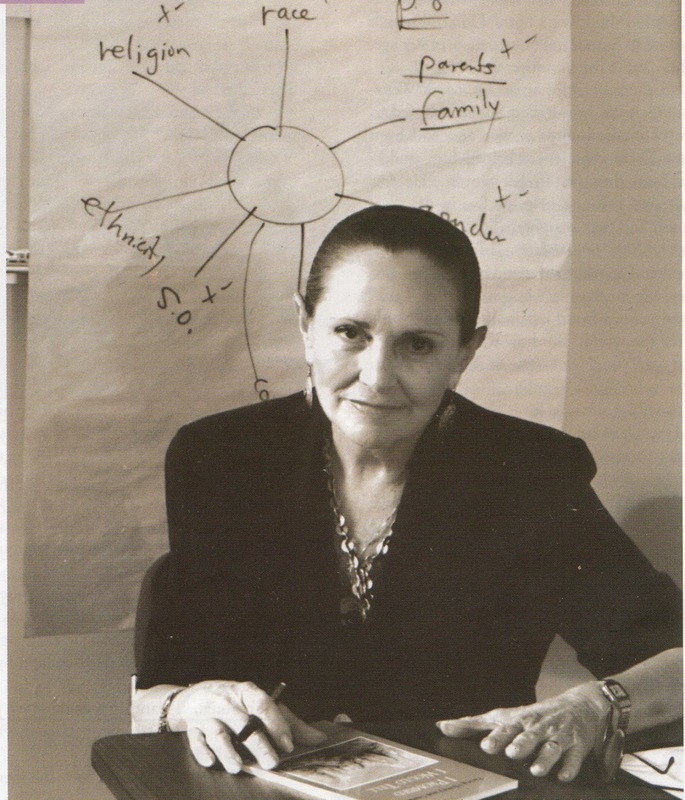 In 1981, she co-founded the Holocaust Center Boston North with Harriet Tarnor Wack and later created the Holocaust Legacy Partner, which recorded and preserved the testimony of Holocaust survivors. In 1986 in an attempt to mend Boston’s Catholic-Jewish relations, she accompanied Cardinal Bernard Law on a trip to Auschwitz and her childhood home in Krakow. Sonia’s aptitude for writing stemmed from her time in concentration and Displaced Persons camps, where she mentally penned many of the poems that appear in I Promised I Would Tell, (available free online) which was published in 1993. Following the release of her book, she began offering lectures at area schools and touring the country, sharing her story. I Promise I Would Tell, was later adapted into a play, which was performed at high schools and colleges across Massachusetts. In 2002, Sonia was appointed by President George W. Bush to the United States Holocaust Memorial Council for the United States Holocaust Memorial Museum. Over the next seven years, Sonia received many awards, including recognition by Massachusetts governor, Deval Patrick. Sonia Weitz died of cancer on June 23, 2010. She was 81. 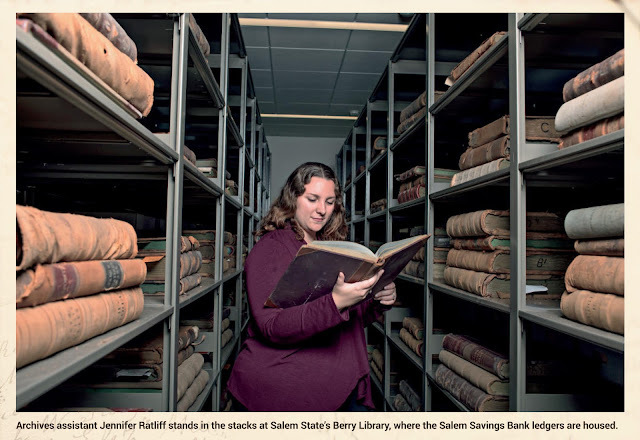 *This article was written by Jen Ratliff for use by Salem State University Archives and Special Collections. Jen Ratliff is a public historian with a passion for preserving, advocating for, and sharing local history. "Like all stories from history, this is a search for ghosts. A quest for the people who made us what we are..."
Hand-poured soy candles, inspired by historic Salem. 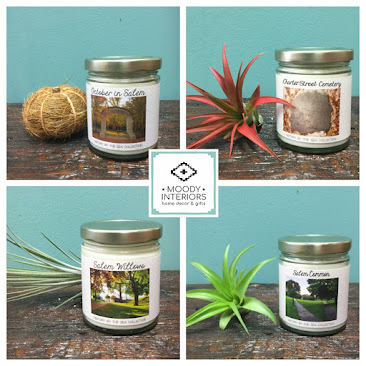 Available online and in store at Moody Interiors - Salem, MA. (n.) a homesickness for a home to which you cannot return, a home which maybe never was; the nostalgia, the yearning, the grief for the lost places of your past. Want more Salem history? 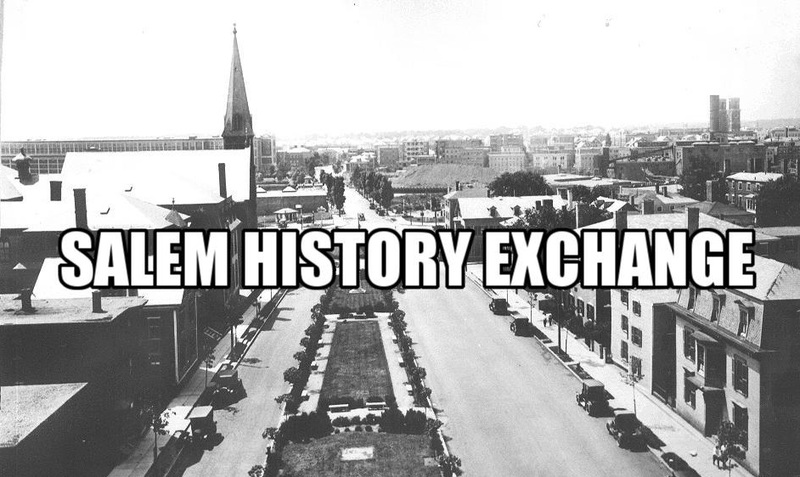 Join the Salem History Exchange group on Facebook! Share photos, stories, and a love for local history. Images and articles on this website are cited to their respective institutions. If you are the owner of any of these images and feel they are being misused, please contact me. History by the Sea is dedicated to sharing the history of Salem, Massachusetts. Jen Ratliff. Theme images by Ollustrator. Powered by Blogger.